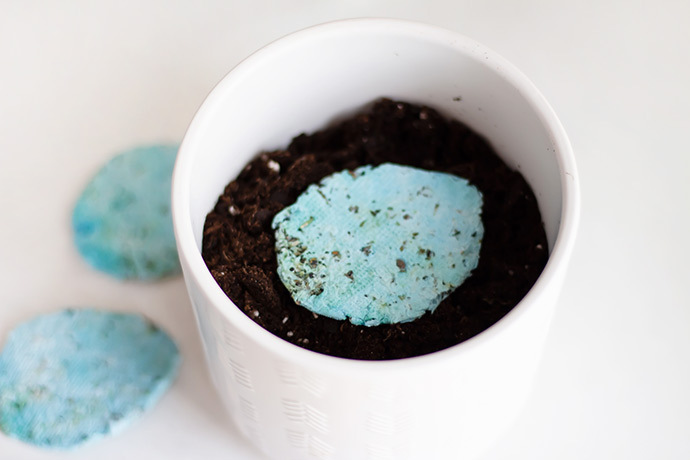 If you haven’t made seed paper before, you’re in for a treat today! The technique is pretty standard and you’ll catch on quickly even if you haven’t tried it before. 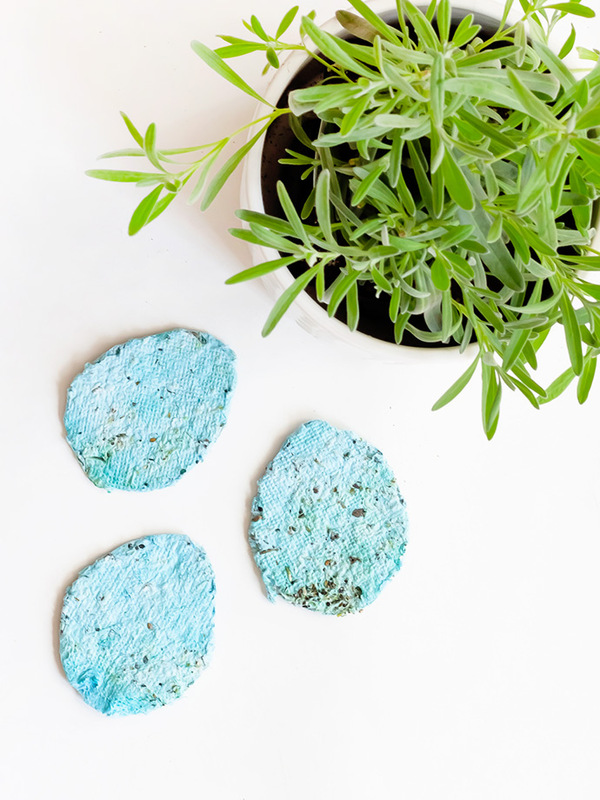 Today we put a fun Easter spin on it though by cutting the paper into these little egg shapes! 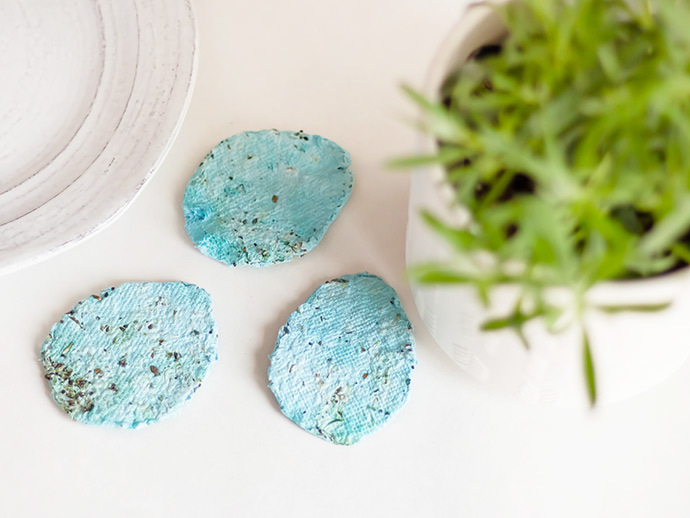 Use blue shades of scrap paper when making your paper pulp and you’ll end up with this lovely robin’s egg speckled look that we love so much. Watch the video below, and keep reading for more tips and tricks! 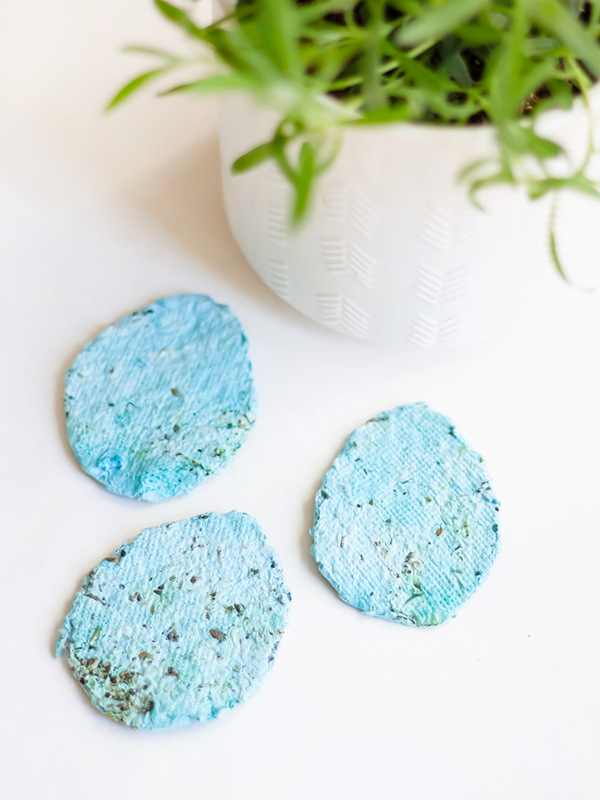 Gather up some paper scraps to turn into a paper pulp. We sorted through our recycling and crafting cut-offs so that we had enough blue-colored paper. 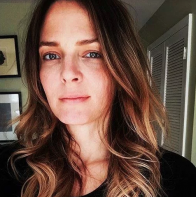 You can mix different colors together if you like, but will end up with a more grey color. Keep paper colors separate and you’ll get different bright shades. 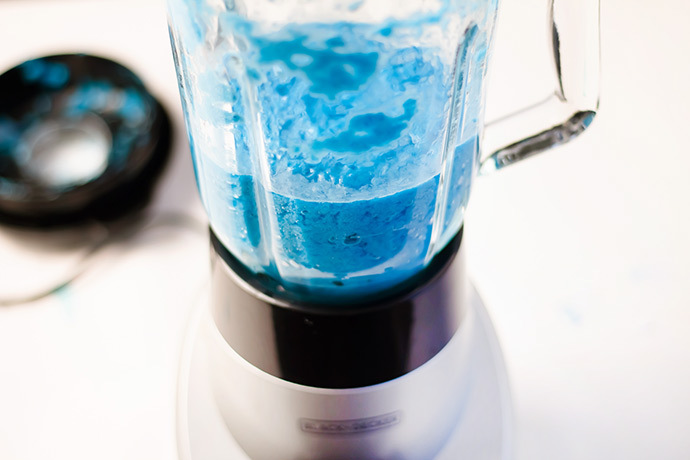 Add the paper scraps into a blender and add a touch of water. 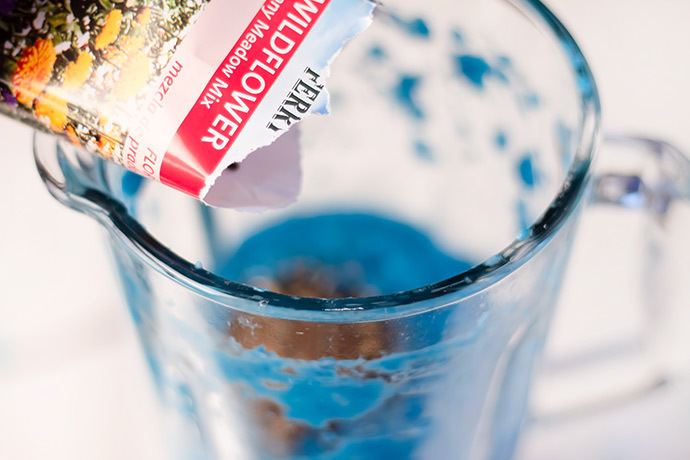 Blend the paper, adding more water to get the pulp moving if needed. 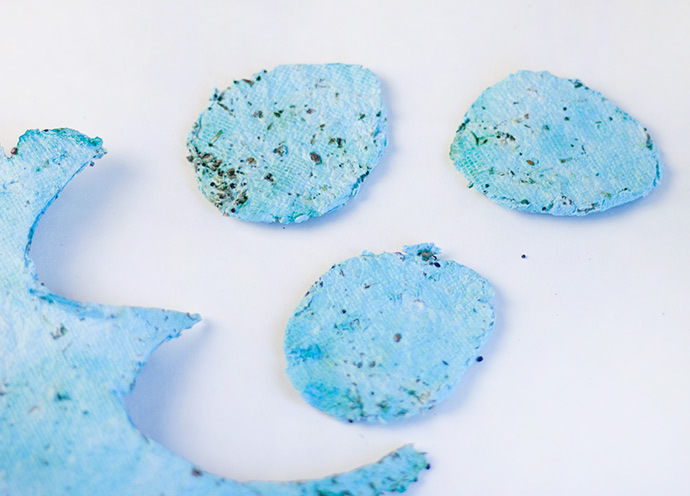 This step is a little bit of an experiment – try adding more paper or water as needed. Once the pulp is all blended, pour a bunch of seeds in. Use a wooden spoon to mix in. 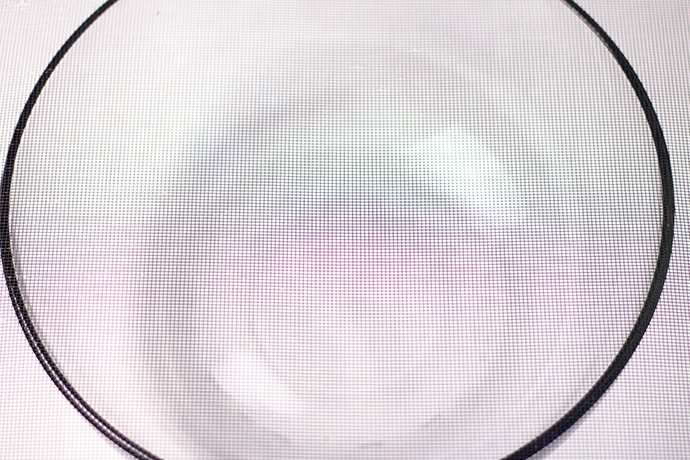 Set up a screen over a large bowl or tray. For the screen, you can use a variety of different things. If you happen to have an extra window screen, that’s perfect! If not, check out the screening area at the hardware store, or even the thrift store. Dollar store or supermarkets also likely will have a flat sieve option in the kitchenware aisle. 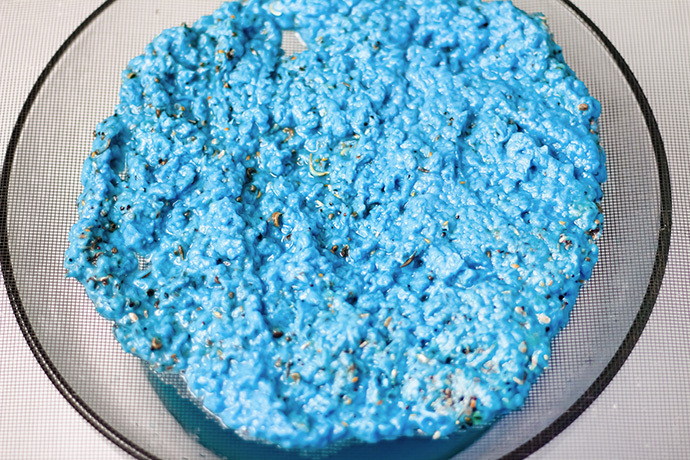 Pour the pulp onto the screen. Use your spoon to gently squeeze out the extra water, and then use your hands to press down and squeeze out even more. Set aside to dry completely. 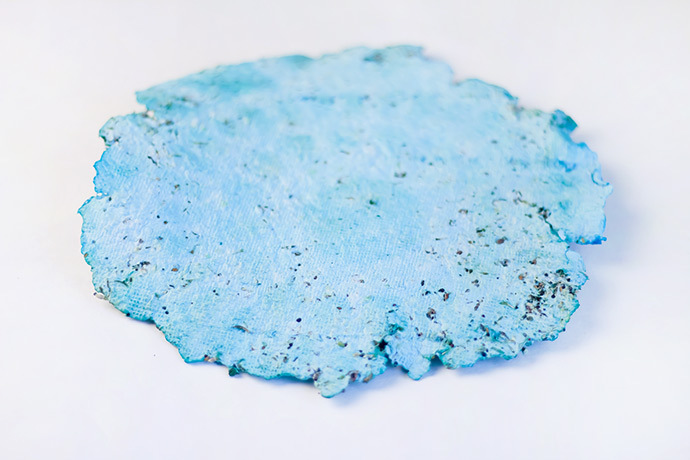 Depending on how thick you make the paper pulp, dry time will vary. Once dry, remove from the screen. 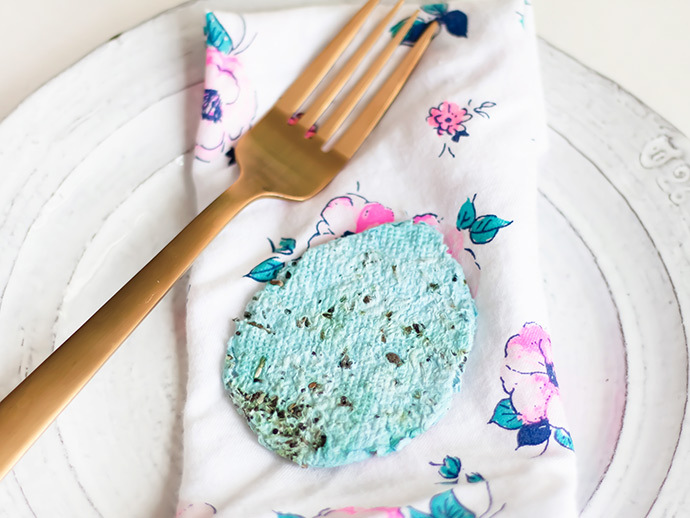 Use as place settings for your Easter table, or give to family and friends. When ready to plant, simply place into a pot filled with soil, cover with more soil, and water. Set in the sun and watch those seeds sprout into flowers!